A Nurse and A Book: Olive Kitteridge....the movie was better than the book? Olive Kitteridge....the movie was better than the book? 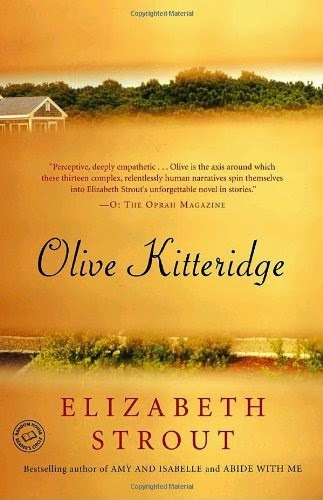 Olive Kitteridge by Elizabeth Strout was one of those books that EVERYONE was raving over. It was featured in People magazine, it seemed to be on everyone's "must read" list, and was all the rage at book clubs. to get through it. The stories at times seemed disjointed, the main character mostly seemed to be a shrew, like the neighbor or mother-in-law that you would go to great lengths to avoid. But I finished it, shrugged it off and moved on with my life. Fast forward to the Emmy's this year, where I kept seeing nominations for the mini-series "Olive Kitteridge". I was a little surprised, especially when they panned the camera on Frances McDormand as the titular character. I love her, but it didn't make me want to see out the show. But this weekend, I happened to see that the miniseries was playing on HBO, so I sat down and binge watched the entire thing. Such a strange phenomena. I still didn't much like Olive. I still felt like the stories were disjointed. But in the miniseries, it worked. I definitely felt much more invested in the characters. The unthinkable had happened. The movie was better than a book. Man, it feels weird to type that. What did everyone else think? Anyone else read the book and watched the movie?